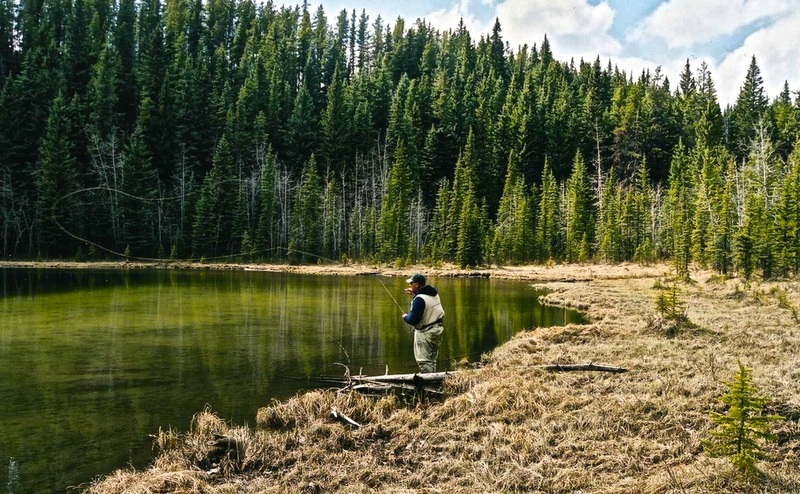 Bragg Creek and Kananaskis offer fishing with a view. Even if you get skunked, you'll have spent the day in a setting where people spend thousands of dollars to travel to. There really is no better way to spend your summer days then standing knee deep in cooling water, wrapped in a postcard with a fish tugging on your line. The lakes and streams hold some of the most energetic, tough pugnacious fish in the world. They may not look as mean as a shark but they just survived one heck of a winter in a lake that nearly froze solid. Tip your hat and let them swim another day. Any fishing requires a license and you have to follow specific rules and regulations for each body of water. Please visit Alberta Guide to Sportfishing Regulations for more info. Guidebooks - A list of the relevant guidebooks for the area that will help you find the big one and give you some tips on how to catch it. Groups - Tired of having no-one to tell your fish stories to? Join a group and share your tales.